Postcard US-3100095 to China was a 1940 vintage postcard showing the Roman Catholic St. Mary's Cathedral Basilica of the Assumption in Covington, Kentucky. Designed by Detroit architect Leon Coquard and built in 1895, its exterior was inspired by the Notre Dame of Paris in an one third scale replica. Services were first held in 1901. However, the construction stopped in 1915 with planned 52- feet or 16-meter tall towers un-built. Pope Pius XII elevated the cathedral to the rank of minor basilica on December 8, 1953. 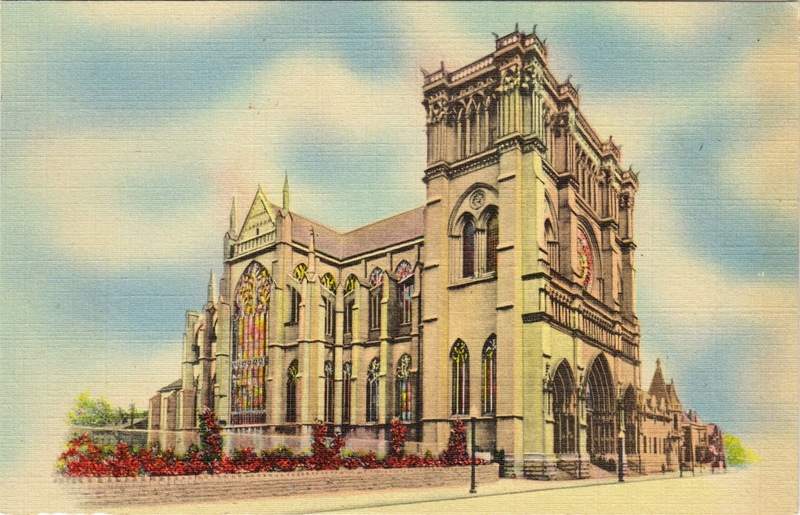 The restoration of the Cathedral was recognized by the Cincinnati Preservation Association with a Preservation Award in 2002.